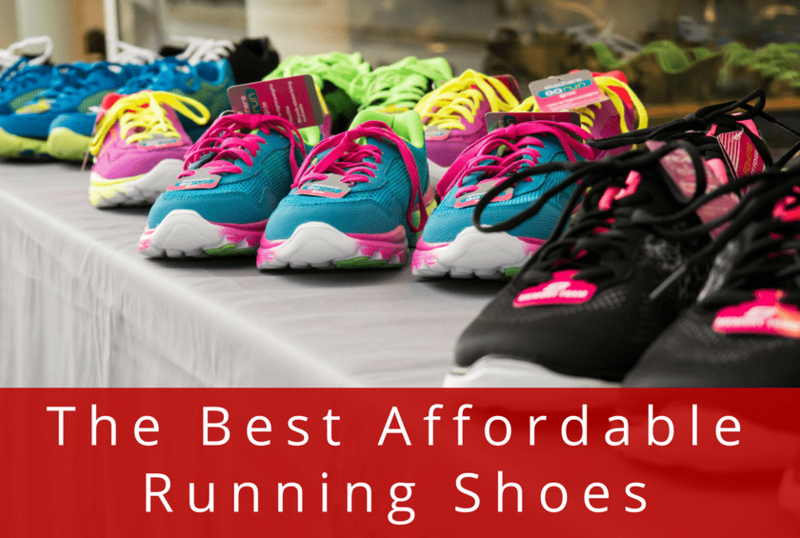 Finding a great affordable running shoe can be difficult. With running shoes, you typically get what you pay for. Less expensive shoes don’t always feel as good or protect your feet as well as costlier options. Plus they are often not durable and wear out fast. But there are gems out there. It is possible find affordable running shoes that will keep you comfortable and injury-free when running. In the first part of this article, we’ll go over the best affordable running shoes. All of these shoes fall in the $100 price range. If you want something even cheaper, we recommend buying a discontinued running shoe in your size. Most running shoes get updated about once per year. When the new version arrives, any leftover inventory of the older models goes on sale. In this second part of this article, we’ll review the best discontinued shoes. These typically cost about 25% less than their original cost. But they often sell out quickly, especially in the nicer colors. We’ll tell you which shoes are the best and when to start looking for them on sale. The Launch 6 is the probably the best $100 running shoe available today. This means it’s also the best affordable running shoe available. Because when you start buying running shoes for less than $100, there is a steep drop-off in quality and comfort. The Launch 6 is extremely lightweight, clocking in at 7.5 ounces. But it’s still supportive and cushion-y, and provides a snappy ride. Aside from its light weight, the Launch 6 has a medium-high foot arch, which makes it much more comfortable than other running shoes if you have a high or medium arch. It’s not recommend for runners with flat arches as it doesn’t have enough stability to manage overpronation. The Launch 6 also has a bio-gel midsole cushion which conforms to your feet and reduces the chance of getting blisters. In the outersole, the Launch 6 has a specialized thatch pattern which provides enough flex to help maintain proper running form by promoting a smooth heel to toe transition. 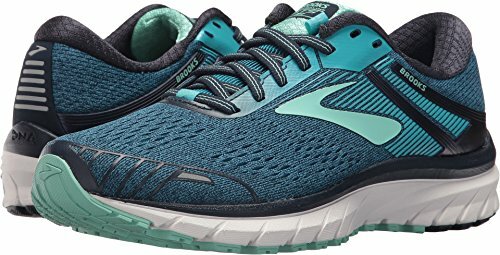 The Zante v4 is another lightweight, affordable running shoe that combines stand-out looks with a variety of features in the upper mesh to provide a comfortable ride. The upper mesh of the Zante v4 is the main draw of the shoe. The mesh conforms to the shape of your foot and lower heel better than many other running shoes might. The midsole of the Zante v4 is fresh foam, New Balance’s unique foam carved from one piece of EVA foam instead of layers glued together like in other shoes. This provides a unique feel and promotes a natural running stride. The outersole of the Zante v4 is made with different densities of rubber to promote a natural running motion, working in combination with the fresh foam. The biggest downside to the Zante v4 is its lack of support. You’ll need a very neutral stride and good running mechanics to feel comfortable running in this shoe. 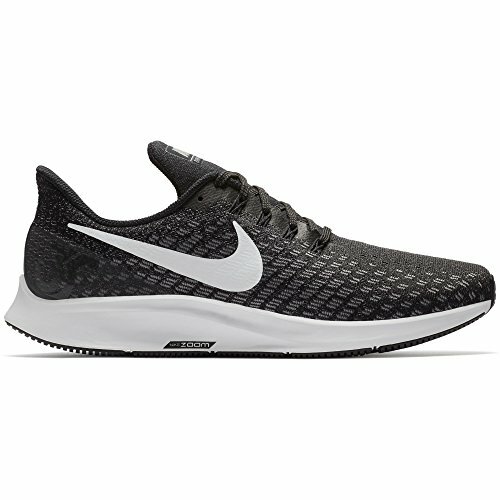 Nike’s Air Pegasus 35 is a great neutral running shoe for people who want a cushioned, supportive shoe with a secure upper to hold your foot in place. The flymesh system in the upper also dissipates heat much better than other running shoes, which will help you stay cool throughout your run. The sole in the Air Pegasus 35 has a bit of flexibility. This means you’ll have a smooth, natural ride when running. New to this version is Zoom Air foam throughout the full length of the shoe. Also new are men’s and women’s versions. The women’s Pegasus is softer than the men’s. The idea is that women land with less force, so a softer feel is more comfortable while still providing a zippy ride. The Air Pegasus 35 performs well on the road. The sole has a rubber strip which should help you to transition from heel to toe when running on flat surfaces. Unfortunately, the sole of the Air Pegasus 35 is a bit thin. This makes it fast and responsive, but not as cushioned as other shoes. Finally, the Air Pegasus 35 feels more lightweight than it is thanks to its foot-hugging mesh and minimal foam. These features make the shoes more agile, but less durable due to less material in the midsole. The Ravenna 9 is a great running shoe for people who need a lightweight shoe and have relatively flat feet. The Ravenna 9 offers good support, so it works best for runners who mildly overpronate. The Ravenna 9 has two separate gel pockets built into the midsole. One is for the front pad of the foot, and the other are for the arch and heel. This sophisticated feature allows for great comfort in an affordable package. The BioMoGo DNA midsole cushioning helps to create a light and responsive feeling from the shoes, which means that you’ll feel nimble on your feet. It’s rare to find a stability shoe for under $110, leaving the Ravenna 9 as the best affordable option if you overpronate. The upper mesh is also helpful, as it is engineered for maximum breathability. This means you’ll stay cooler on your longer runs. The Saucony Kinvara 10 is a lightweight running shoe which fits like a glove and promotes a natural running stride. This helps you run efficiently, which will allow you to run faster, longer. To accomplish this, the Kinvara 10 has an EVERUN topsole. This provides a springy cushioning that’s durable and adds comfort to the shoe. Though it can get a bit hot, it provides a maximum amount of cushioning on the regions of your foot that will be stressed the most. Beneath the topsole is the midsole, which is flared such that the heel is several times thicker than the footpad region. This is abnormal for a running shoe, but it’s the secret ingredient which makes the Kinvara 10 cushioned but very light. The Kinvara 10 has a 4mm drop. This means the heel is raised 4mm above the toe. This makes the shoe fairly flat – ideal to run with good form but just enough lift to cushion heel strikers. The Kinvara 10’s outersole is minimal but effective. The traction is best for running on asphalt, as it’s not as durable as other running shoes. This also means you won’t get as many miles out of these shoes as you will for others. The Hoka One Cavu is a running shoe for those who want a light, yet cushioned neutral running shoe. Using its low-cut design, minimal support, and minimal stability, the Hoka One Cavu provides the cushioning Hoka is known for with a light and nimble running shoe. 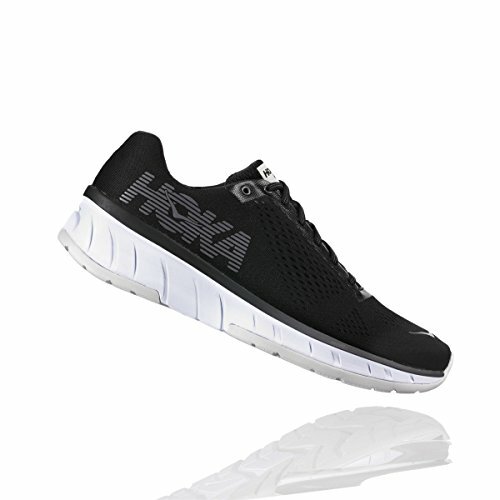 While not as cushioned as other Hokas, the price point is right for the Cavu and it still provides nice cushioning in a sleek package. You’ll run free and easy in this lightweight, responsive running shoe. 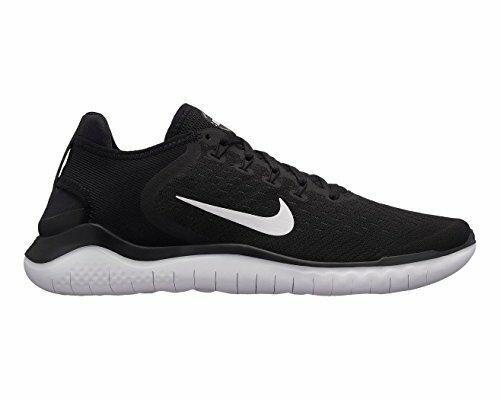 The Nike Free RN 2018 is the most affordable Nike running shoe on the list. The Free RN 2018 has a huge foam pad as its sole, which is connected directly to the user’s foot in the floor of the shoe. As there’s no midsole, the shoe is light despite its large appearance. The Free RN 2018 feels exceptionally springy as a result of its single foam design. It gives it a barefoot-like feel, so the Free RN 2018 is better suited for short runs and sprinting. But its lightweight design makes it great for travel or taking to the gym. The latest version features a soft, spandex upper. Plus a wide strap around the heel provides a secure, supportive fit. Additionally, the Free RN 2018’s shape results in a neutral step, meaning you need good running form for these shoes to feel comfortable. If you can get around the shoe’s aesthetics and cost-saving measures, the Nike Free RN 2018 is still a great affordable running shoe for people whose feet are of average dimensions and who have proper running form. The Adidas Aerobounce has breathable mesh and a close fit for a cool and secure ride. Because of the shoe’s low-heat and close-fitting design, you’ll be able to run for long periods of time. You’ll also feel that the shoe is very responsive. The shoe’s sole is highly cushioned, which makes longer runs even easier despite the shoe’s hefty weight. The Bounce cushioning feels great and will protect your feet from excessive pounding. And the sock-like fit will keep you secure and comfortable. 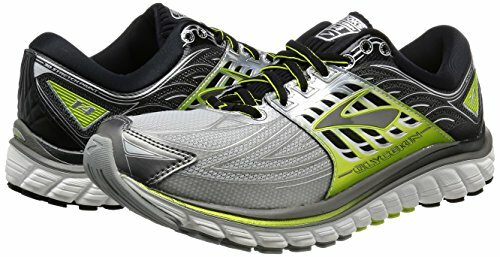 Discontinued running shoes are sometimes the best deals you can find. Running shoes typically get updated to a new version about once a year. When the new model is introduced, the excess inventory of the older is put on sale, usually at 25% off its original price (and sometimes a lot more). What do you lose when you buy last year’s running shoe? Usually it’s the color and style of the shoe that changes. But sometimes the entire shoe gets upgraded. This is typically for the better, but shoe manufacturers do make mistakes and mess up a popular shoe. If you particular love a certain pair of shoes, buying them in bulk when they go on sale is a great way to ensure you’ll be running in that shoe for a long time to come. In this article, we’ll break down the discontinued version of the most popular running shoes. Most of these running shoes get updated in either the spring or fall, so we’ll break down our reviews into those that go on sale in the spring/summer and those that start to go on sale in the fall/winter. Our reviews are for the most recent discontinued model of that particular running shoe. Depending on the time of year, you may or may not be able to find them in all sizes and colors. Often, you’ll have to sacrifice your favorite color to find the right size. The running shoes listed here get updated in the spring, so look for them to start appearing on sale between April and early June. Often these get sold out fairly quickly – so you’ll have a harder time finding them on sale in the late fall through winter. The Brooks Ghost series is one of Brooks’ best-selling running shoes. 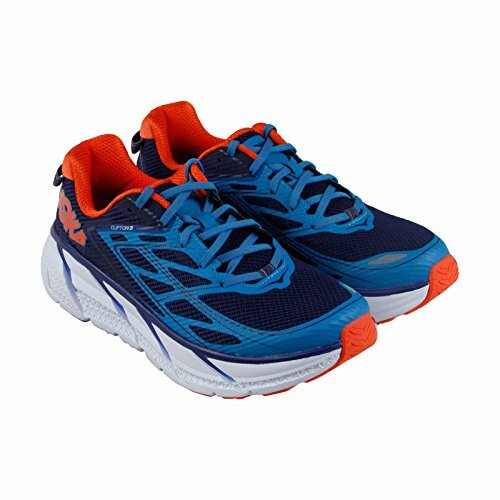 It’s a great everyday trainer for neutral runners who want a cushioned yet responsive ride. The Ghost is known for a wide toebox but snug fit in the midfoot. It has a high drop, good for heel strikers, and feels snappy when you run. Version 9 has a secure fit in the midfoot and a comfortable upper. It’s not quite as comfortable as the newest version, Ghost 11, but it’s still very comfortable. The midsole and cushioning are comparable in both models. The Brooks Ghost 9 works best on the road, but has a semi-aggresive tread that provides some decent traction trails. The Ghost is at home for everyday runs, long runs, and long distance races. 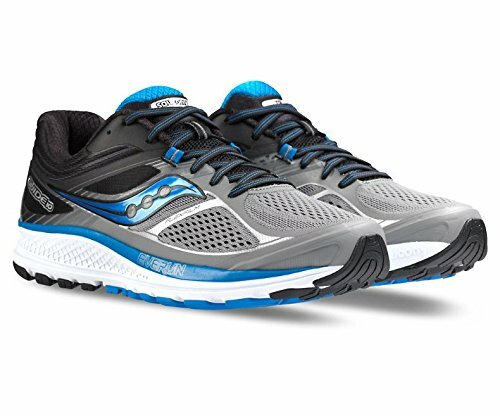 Beyond color and style, there a few differences between the Saucony Ride 10 and the Ride ISO, Saucony’s newest version of the Ride. Both are cushioned running shoes ideal for runners who need an everyday trainer and don’t overpronate. The new Ride ISO has ISO lacing for a soft upper. FORMFIT sole provides a contoured mold to your feet. But otherwise, these shoes are very similar. The EVERUN topsole in the Ride 10 ensures the shoe will feel as great as the end of the run as when you first begin. Additionally, EVERUN foam lasts longer than traditional foam so you’ll get more miles in these shoes. The upper has a great fit, although if your feet are very wide, they will feel snug. They are lightweight and feature an 8 mm drop for a natural running feel. The traction on the outersole further adds to a natural running motion. The Hoka One One Clifton 3 is an award-winning road shoe that novices and experienced runners alike will enjoy. The Clifton 3 won Competitor’s Best Update in 2016. It has the best cushion-to-weight ratio out there – it’s very light yet highly cushioned. The Clifton 3’s large sole has a slight rocker – this takes some getting used to but makes for a smooth transition while running. The Clifton 3 – like other Hokas – has tons of cushioning. But it also has a more neutral look, making it popular for runners who don’t want the extreme stack height of other Hoka running shoes. 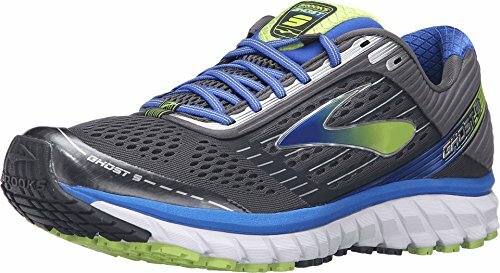 One complaint about the Clifton 3s are that they wear down faster for heavier runners. This was solved in version 4 – so you may want to consider the newest model if you are a heavier runner. 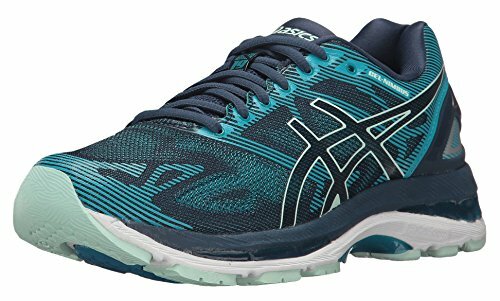 The Asics Kayano 24 is a great shoe for runners who want a cushioned, soft ride and overpronate. To address overpronation, the Kayano 24 has a DuoMax support system in its midsole. The support system is at a slight angle, which means that the foot is only engaged when necessary. The gel midsole of the Kayano 24 also adds a lot of soft cushioning – also very helpful for those who are recovering from an injury. The shoe has a heel clutching system, which nicely cradles the back heel for a secure fit. The newest version (Gel-Kayano 25) has been lukewarmly received. So if you can find a pair of 24s, grab them up. The Brooks Glycerin 14 shoes are great for people with sensitive knees and joints because of their massive cushioning. Aside from their powerfully cushioned sole, the shoes offer a large amount of support for your arch, which means that the shoe is extra effective for those with high arches. Reviewers praise the Glycerin 14 for its ability to prevent additional pain caused by shin splints. Other reviewers claim that the shoes are helpful for dealing with their sensitive Achilles’ tendon. For the most part, these shoes are ideal for runners who want a plush, cushioned ride. 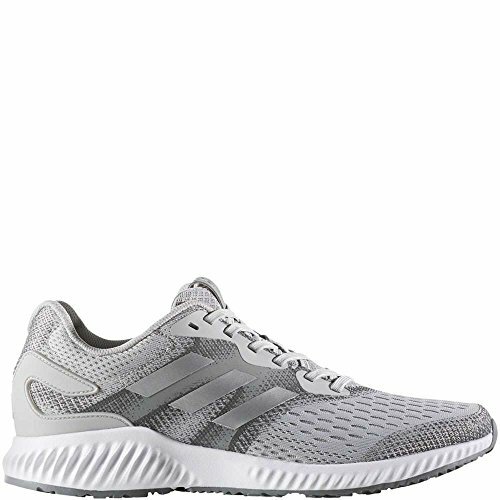 These shoes are good for neutral runners who want an everyday trainer, perfect for long runs or slow recovery runs. 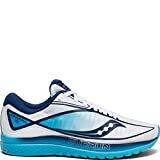 These running shoes are most popular models that typically go on sale in late summer/early fall. Start looking for your favorite pair to go on sale in September or October. The Brooks Adrenaline GTS is one of the best-selling shoes in the running industry. It’s cushioned and supportive, perfect for runners with flat arches who need extra stability. The Adrenaline 18 has a seamless upper that gives a sleek and streamlined look. But it still provides a nice, secure fit. A highly durable and treaded outersole means you won’t be slipping in wet and muddy conditions. It also has a progressive diagonal rollbar midsole system, which helps ensure your proper running posture if you overpronate. The GTS 18 is a slightly heavy shoe, mainly because of its supportive midsole. The Asics GT-2000 5 features Asics’ unique gel cushioning and a snug heel to keep you locked in the shoe. These features include an impact guidance system to help correct runner who overpronate. Other features include gel cushions for the heel and toe, each of which is designed to diffuse impact pressure into the shoe. This means that your body won’t become as stressed by using these shoes when you run. The additional comfort in the sole will help to keep you going on long runs. Finally, the shoe has a unique feature: engineered lace eyelets. The lace eyelets are such that the shoe can have a close and highly comfortable fit, but not feel tight. 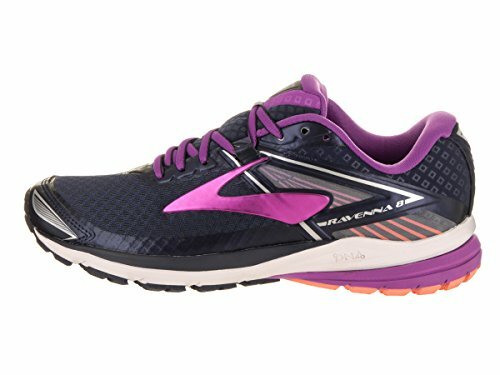 The Brooks Ravenna 8 is a lightweight stability shoe perfect for runners who need just a touch of support to correct mild overpronation. With these running shoes, you’ll get a modest amount of cushioning and support in an agile and springy design. The shoe’s blown rubber outsole is simple but effective. Its main draw is that it’s practically indestructible. The upper is stitched together in spots – so it’s tad heavier than the newest model and not as sleek-looking. 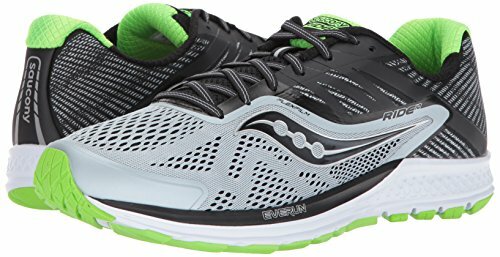 The Saucony Guide 10 are have a great feature set that includes a flexible sole and springy cushioning that’s ideal for runners with low to flat arches. Though the shoe is a bit heavier than other running shoes, it’s still very springy thanks to the Everun topsole. The shoe is made for road and track, even though its stiff sole and plush cushion make it tough enough to handle light trails. The shoe’s tread is allows for a natural running motion. And the 8 mm drop makes it easy to land on the ball of your foot. 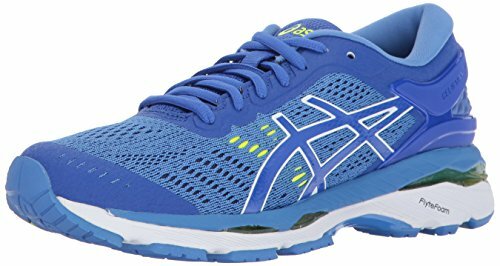 The Asics Nimbus 19 is great for neutral runners thanks to its gel foam. The midsole provides great springiness right in the food pad and great shock absorbance in the heel. Your foot will be cushioned and feel great in the plush ride. The Nimbus 19 uses a no-stitching design, which makes the shoes far more durable and reduces weight. Additionally, the no-stitching design reduces points of blistering and irritation on your feet, so you’ll have more comfortable long runs and shearing during turning. One downside to version 19 is that sizing ran very small. You may need to order a half to full size up.